The Girl With The Spider Tattoo: Fall For Two New Books & $100 Paypal from Carole P. Roman! Ends Oct 14, 2014! 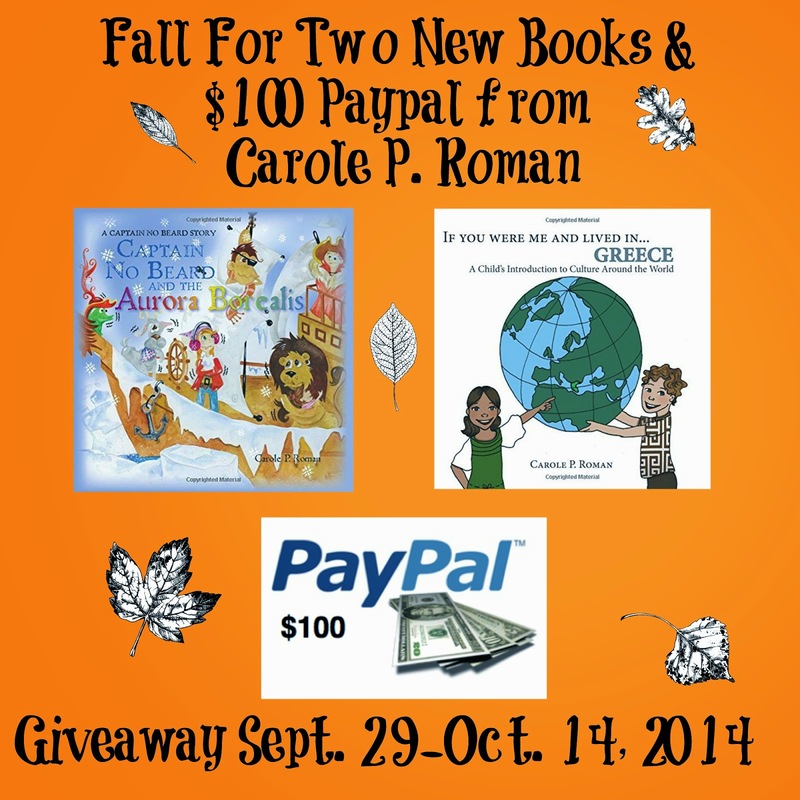 Fall For Two New Books & $100 Paypal from Carole P. Roman! Ends Oct 14, 2014! If You Were Me and Lived In Greece and Captain No Beard and the Aurora Borealis. 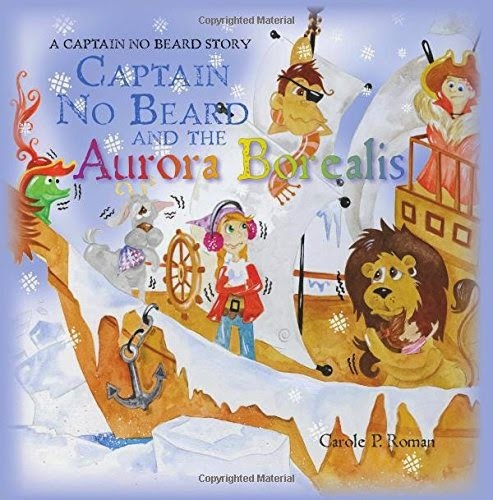 "Captain No Beard and his crew of loyal pirates heave anchor for another adventure, this time in the icy waters of the Arctic. Captain No Beard's steering a course due north, sailing by the light of the North Star. Everyone on the crew wonders what the captain's up to, especially as he gets embarrassed when they ask. When the captain finally admits his plan, the crew discovers he plans to steal the aurora borealis, the beautiful northern lights that brighten the arctic sky. They're all shocked. They may be pirates, but even they know stealing is bad. Besides, how can anyone steal the lights from the sky? A charming, engaging tale about doing what's right." 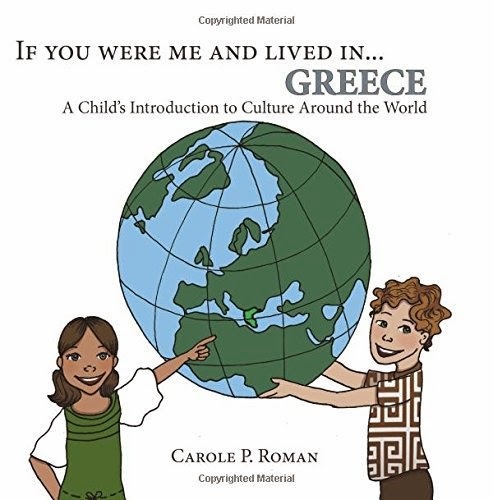 "If You Were Me and Lived in…Greece , early learners get a taste of what their life would be like if they lived in Greece while being introduced to the birthplace of democracy. This book is the latest installment of the educational series about the cultures of the world that speaks to young children about the topics that interest them, such as the foods people eat, the names of boys and girls, and the activities that children their age living in a foreign land are likely to engage in. This exciting visit to Greece also introduces the important concept of democracy to children and highlights some of the other cultural contributions that Greece has made to Western civilization. Basic information is offered in a playful way that won’t overwhelm children." Join Carole P. Roman as she celebrates the launch of each of these books with a wonderful giveaway which includes a paperback copy of each of the books and $100 Paypal. Carole P. Roman's award winning books have entertained children from around the world and these two new books are sure to be a hit! Enter in the Rafflecopter below. This giveaway is arranged by Away We Go Media on behalf of Carole P. Roman whom is responsible for prize. Just Call Me The Girl With The Spider Tattoo was asked to promote this giveaway and received no compensation for the post. This is open Worldwide. If there is an international winner, the books will only be sent via Kindle. NOTE: The first entry on the Rafflecopter MUST be entered in its entirety or you will be disqualified. You also may not enter this giveaway solely based on this entry. You must do at least one more entry. Away We Go Media will not sell or use this information in anyway with exception to inform winner and send the prize. This giveaway is not affiliated with Facebook, Twitter or any other social media outlet.